Equisales provides the equipment and services needed to construct and maintain high-voltage transmission and distribution (T&D) substations. High-voltage facilities are now available with short lead times. Today, Equisales builds fast-track substations from the ground up in 12 weeks or less. Vertical integration that combines the best engineering, procurement and construction (EPC) services means faster completions and lower expenses. We provide substation equipment, custom engineering, testing and field-ready rentals. Flexible high-voltage solutions offer multiple options for power generators, distributors and industrial consumers. Our products and field services can be adapted to meet market-specific priorities. When cost, build times, scalability and reliability influence development decisions, we provide solutions that meet your unique requirements. Maintenance, repairs and testing can also be completed quickly to increase reliability and reduce unexpected costs and delays. Comprehensive tests ensure the safe and reliable operation of T&D infrastructure. Our experienced field technicians follow best practices to maintain and inspect new and existing substation equipment. Top-to-bottom tests protect electrical, mechanical and insulating components during maintenance and future use. Digital equipment and specialized procedures are used to test high-voltage circuit breakers, transformers, switches, buss bars and grounding components. Technicians inspect coils, bushings, connection terminals and protective switches before operation. Our testing procedures ensure that all equipment meets local and international requirements and environmental regulations before commissioning and operation. During fast-track builds, quality and safety are especially important. Inspections and tests completed throughout manufacturing and installation prevent shortfalls that could affect safety, reliability and deadlines. Our robust testing and maintenance plans foster facility-wide safety. Field technicians are available to perform electrical testing on a for-hire basis or as part of substation construction and maintenance. When clients require replacement transformers and complete rental substations for temporary use, we complete all installation and testing services. To deliver additional value to new and long-term clients, we offer high-voltage solutions that go beyond sales. 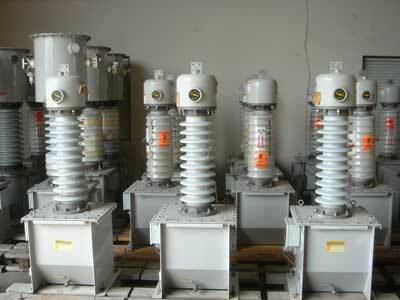 We perform the following maintenance and substation testing services according to international guidelines. In addition to completing substation and transformer field testing, we can modify or troubleshoot controls and calibrate protection relays. We also perform high-potential (Hi-Pot) dielectric and insulation tests using AC and DC voltages. Plus, equipment and testing services are available with fast-track timelines that increase productivity and profits. To request field testing at your high-voltage substation, contact Equisales by calling 713-733-3999. Our experienced electrical engineers and technicians are available to provide all types of high-voltage services with minimal notice.